It’s been a long time since I’ve read an out-and-out horror story. 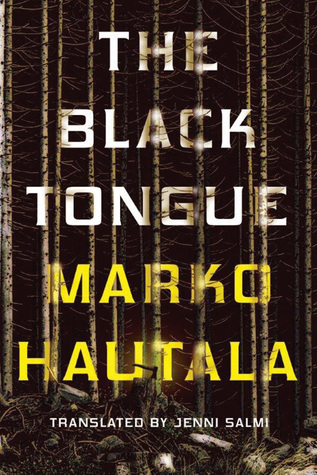 I picked up Marko Hautala’s The Black Tongue because it was set in Finland and, according to the description, was about a folk story that might be truer than any one wants it to be. That part turned out to be true, but The Black Tongue ended up being much weirder and scarier than I was expecting. Maisa Riipinen is trying to discover where the story of Granny Hatchet came from. She believes that the stories have gotten complex enough and have had enough of an impact on its hearers that it might actually constitute a religion. In her hometown of Suvikylä, teens gather in an abandoned basement to hear “The Sermon.” They drink something nasty. They perform tasks set out by “The Sermon.” They’re not supposed to tell anyone, especially adults. If any member of the group does tell, the rest of the group kidnap them and leave them, masked and gagged, in the basement. Maisa thinks her informant, an immigrant girl named Sagal, is the key to a breakthrough when the girl goes missing. Sagal’s disappearance, along with a series of flashbacks from Maisa and another Suvikylä native, Samuel, reveal that the story of Granny Hatchet goes back farther than anyone suspected. Granny may have been around as far as World War II. Maisa finds an old woman who might have been one of the first people to hear about Granny Hatchet. The old woman also hints that Granny Hatchet might have been a real person, a woman married to a German. This woman would feed the kids a drink that would turn their mouths black and tell them hair-raising stories about what would happen to them if they disobeyed her. The Black Tongue plays with the boundary between mundane reality, with antagonists who might be suffering from profound mental illnesses, and with the supernatural. What I found interesting about the story was the way that the tale of Granny Hatchet became more and more real over time. Belief in the story and its mythology grew in the decades between the end of the war and Maisa’s investigation. Perhaps Maisa is right and a new religion is being born. Or perhaps “religion” is just an adjective to describe a mythology that is being played out in Suvikylä right before her eyes. Because I’m not a regular horror reader, I don’t know how this book stacks up in comparison to other books in the genre. Being more accustomed to thrillers and mysteries, I kept expecting The Black Tongue to zig when, instead, it zagged in a completely different direction. I don’t know how horror stories are supposed to play out, but I will say that the ending was the perfect conclusion to the story. 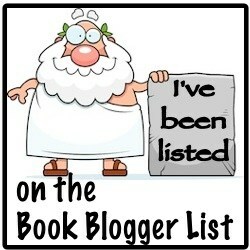 I received a free copy of this ebook from NetGalley, in exchange for an honest review. It will be released 22 September 2015.